It’s the greatest time of year, it’s chaotic and tiring, it’s fun and fabulous, it’s FASHION WEEK. 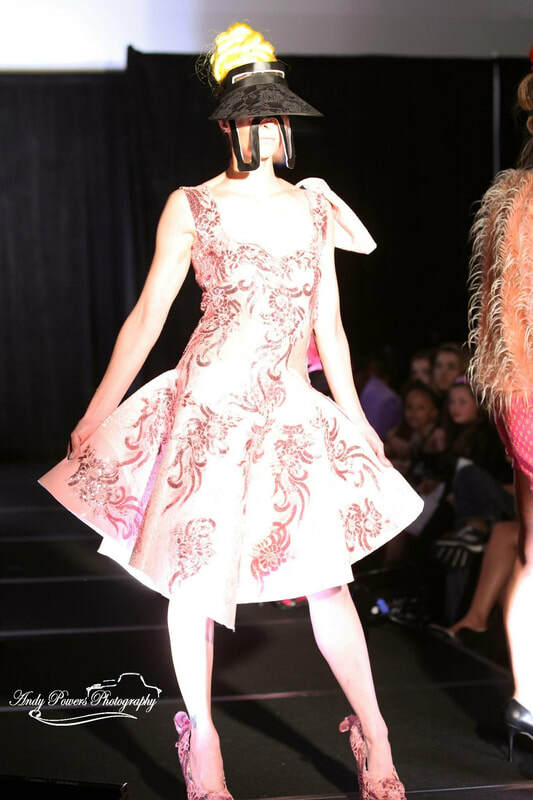 W Boston presented by VOGE Fashion Runway and Boston Fashion Week. The founders, Junior and Rose, strive to create opportunities for designers trying to make it in the fashion industry. They give the designers a chance to share their passion with the community and they help them get their voices out there. Here in Boston, the fashion industry is not as appreciated as the other fashion capitols but that opinion needs to change. The creativity and passion that comes out of this city is like no other and VOGE is here to put Boston on the fashion map. The show was co-hosted by America’s Next Top Model and actress Bre Scullark and Joshua Steele. 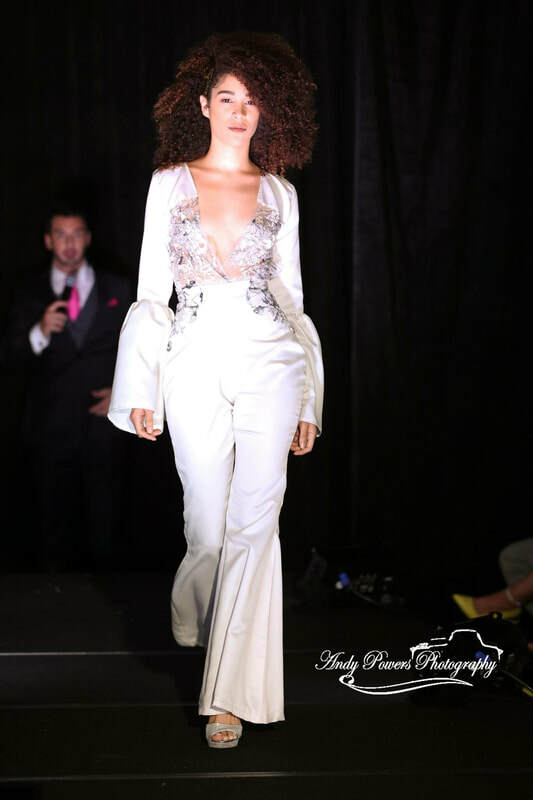 The designers showcased this year were Annmarie LaFauci, Sharon Cox- Cole (Shaco Couture), Malva Janaby, Yannery Burgos, Alexandra Renee Bianchi, Josefa Da Silva and Rajitha Prakruthi (Trompe L’oeil). Josefa Da Silva started off the show with an African inspired women’s wear and accessories collection. The Cape Verdean- born designer is inspired by traditional African prints and textiles which are showcased in her collection. Next up was Annmarie LaFauci. Annmarie showed an innovative collection of swimsuits and ready-to-wear looks. After Annmarie, Alexandra Renee Bianchi showed her evening wear collection. Ali’s collection was one of my favorites from the show because the pieces were very feminine but they were also edgy and fierce. Next to show was Rajitha Prakruthi’s Trompe L’oeil collection. The LA based designer gave us a collection filled with color and bold prints. The collection was based on the concept of illusion and, as a designer, Prakruthi wants to connect people with innovative and sustainable designs. After Trompe L’oeil, Shaco Couture presented their collection. 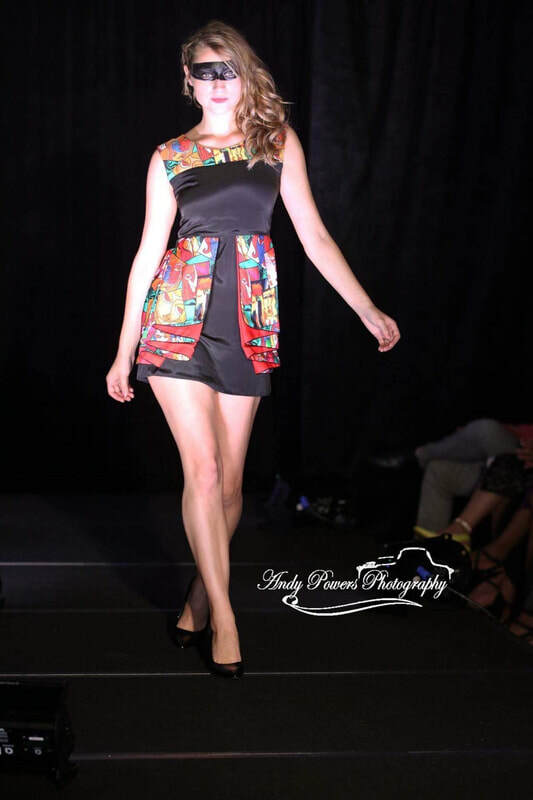 The designer, Sharon Cox- Cole, designs for all women and wants to represent women from all ethnic and cultural backgrounds with her designs. Her work is inspired by different parts of the world from Australia and Dubai to France and the Caribbean. The main goal of this collection was to flatter all women no matter the size or background. After Shaco, Yannery Burgos was next. Yannery showed a beautiful collection of evening wear and special occasion looks. What amazed me most about this collection was that she made it in two weeks…TWO WEEKS. I cannot even imagine all the sleepless nights and the amount of caffeine needed to create that collection. ​And finally, the last designer to show was Malva Janaby. This final collection closed the show with bold ready-to-wear and some evening wear looks. Janaby’s unique looks are inspired by architecture and nature. Janaby designs for men and women of all shapes and sizes. Overall, this show was a huge success and I am so glad I was a part of it. I could not have done it without my amazing friends who absolutely killed it that night. The W Hotel was also a great location for the show and really set the tone for the night.